During the lead-up to HTC’s announcement of the One M9, another device made by the Taiwanese manufacturer with a larger display, awkward-looking fingerprint sensor, and Duo Camera kept popping up in blurry cam shots across the pond. Everyone just assumed this was some sort of “Max” or “Plus” version of the M9, except that once HTC took the stage in Barcelona, only one phone was unveiled. Well, on April 8, that other phone will become official in China. 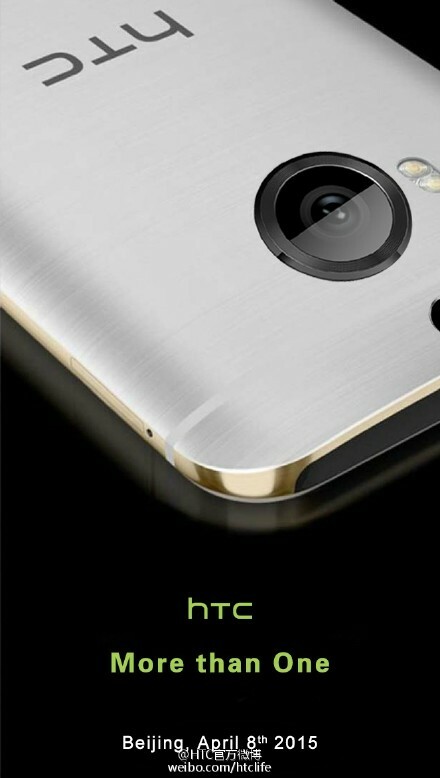 Dubbed the HTC One M9 Plus by in-the-know HTC folk, the phone reportedly features a 5.5-inch QHD (2560×1440) display, Mediatek MT6795 64-bit octa-core processor, 3GB RAM, 32GB storage, BoomSound speakers, a fingerprint sensor, and the Duo Camera setup last seen on the One M8. This time, though, the main camera jumps up to 20MP, just like the camera in the One M9. We aren’t sure if this phone will ever make it to the States, as the press invite below is targeted at Chinese media. Would you carry around this monstrosity if it did?